In Baltimore, Maryland, an office building housing EZ Pass toll booth administration personnel was facing a serious crisis. A 22 inch deep wall joint in their boiler room had a void and needed to be repaired. The joint was rapidly deteriorating. We advised the contractor to use a combination of oakum and our H100 resin. The first step was to soak the oakum in the H100. Next, the soaked oakum was dipped in water for activation and then inserted into the joint. The cured material and oakum sealed off the front 15 inches of the joint. Then more H100 was injected behind the cured oakum, using a customized injection needle, to fill the back 7 inches of the joint for extra measure. The combination of H100 and oakum acted as a gasket to stop water from coming through the expansion joint while filling the void. The job was finally finished off by inserting a caulk joint sealant to lock all the grout into the joint, completely sealing off the leaks and preventing any future ones. 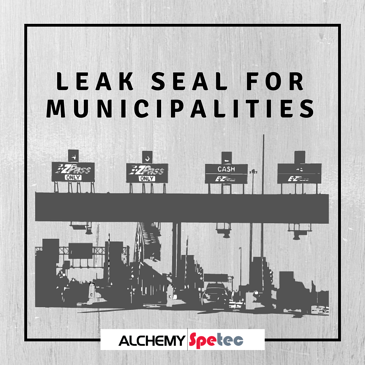 This is one of many examples in which our products have been used in the application of leak seal for municipalities.